Mark works closely with Colin Harris our Technical Director and with our clients on site. Mark has an enviable track record of achieving the right outcomes for clients. He has delivered close to 100 training courses for SAS and has also provided personalised tuition. Mark has over 25 years of IT experience covering programming, innovation and technical problem solving. He has worked in a wide range of high profile industries in both public and corporate organisations. Mark’s in-depth experience covers all aspects of SAS Business Intelligence including Visual Analytics, Enterprise BI infrastructure platform administration, SAS installation, configuration and troubleshooting. He enjoys finding innovative solutions to difficult technical problems and sharing knowledge. He has carried out support work and many SAS software upgrades – both Windows and Linux in New Zealand and Australia. Nataliya has proven expertise in delivering data warehouse and business intelligence solutions that support evidence based analytics to help achieve operational and strategic goals. Among her achievements is leading and successfully delivering a project that was described by PWC auditors as “the best example of an agile data warehouse project we have seen”. Nataliya sees challenges as opportunities and she is known for her unfailing positivity and ability to handle difficult situations gracefully and effectively. She is an excellent team player and enjoys sharing knowledge and growing team capability. Nataliya is passionate about the Agile way of developing and delivering solutions that leave customers delighted. Nataliya has over 10 years’ experience in data warehousing and business intelligence. She is skilled and experienced in architecture, design and technical leadership roles, and she is a hands-on developer. Nataliya has strong SAS expertise being certified as a SAS Advanced Programmer and Data Integration Developer. She knows how a good coding or ETL job should look, and uses her knowledge and experience to establish development standards and practices that ensure high quality outputs which teams can stand by proudly. Nataliya has solid experience in leading Agile teams where she has played roles of scrum master and technical lead. Paul specialises in statistical modelling, and has extensive BI and data warehouse expertise for data preparation, report and analysis. 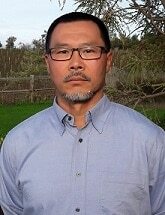 He is a SAS specialist with over 16 years’ experience using a wide range of SAS products. Paul also has BASEL II expertise. He is a world-wide specialist on credit scoring, and is a published author of several papers in this field. Paul has held a variety of roles throughout his 20-plus year career in New Zealand, Asia and the United Kingdom. Paul’s roles have covered analytics, modelling, management and project management in a variety of sectors including finance, IT, insurance, retail, travel, media communications and public sector. He has strong presentation and teaching skills, having presented papers at many conferences and taught numerous SAS courses including Data Mining. Paul also has management and project management experience. Dave is a Senior Application Developer and Programmer specialising in SAS but also has extensive technical experience with Oracle, Microsoft Office tools, Windows and UNIX. Dave is an accredited SAS trainer, specialising in teaching SAS Enterprise Guide and other SAS programming courses. Very good at communication and great with people from both business and IT areas of organisations. Dave is excellent at applying his considerable experience to real life situations and challenges to achieve the desired results. Dave’s ability to understand the business needs has seen him being very effective in developing and implementing a number of important and successful reporting and analysis applications, as well as significant, mission critical database systems. 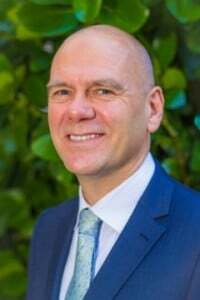 His experience covers government organisations such as MSD, Ministry of Justice and Inland Revenue, whilst his corporate projects have included working in the financial sector at ANZ / National Bank and BNZ, plus in the telco sector at Telecom (now Spark). Plus UK experience in online portals with VIRGIN.net, British Airways, and Parexel in the pharmaceutical industry. 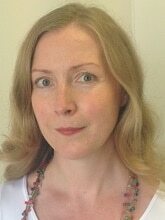 Kelly is a specialist in statistical analysis, risk assessment and statistical modelling. His interests include exploration and analysis of very large datasets. His specialities include development of systems to understand complex data and formulation of innovative procedures. The analysis of his modelling assessments are influential at the highest level of decision making in large organisations. Kelly has extensive statistical analytical experience in New Zealand in government, scientific, transport and trade based organisations. Kelly holds a doctorate in statistics in addition to his other related qualifications. His overseas experience includes teaching positions at two American universities. He is sought after as an author of many papers in this field and is a regular speaker at national and international conferences. Dr Karolyn Kerr has worked in the area of information management for the past 20 years; from national, regional, organisation-wide and individual information systems perspectives. Karolyn has assisted public and private sector organisations understand their data through the application of better data management processes, and supporting the strategic goals of the organisation. Karolyn works across business units with the organisation’s staff to create an organisation-wide focus to undertake comprehensive maturity assessments. She also assists organisations to use detailed benchmarking tools for governance groups to agree a prioritised data management programme that will provide the best return on investment. Karolyn enjoys bringing about effective whole of system change through collaborative team work, often working at both strategic and tactical levels. Colin has a background in programming, project management and the business use of IT. In the mid 1990s he worked for Government departments including the State Services Commission and the Ministry of Economic Development, advising on technology’s potential to transform Government services and New Zealand society. 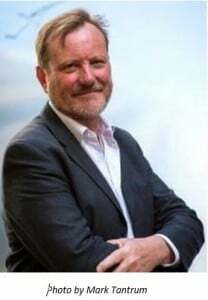 Colin has been intimately involved in a range of strategy and policy initiatives in New Zealand on subjects including cyber-security, privacy, trust and intellectual property, and was a pioneer of E-Government in New Zealand. As one of the first Internet users in New Zealand — and Government’s first Internet policy advisor – Colin has significant domain knowledge. 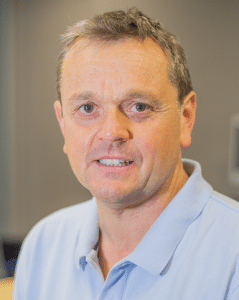 Since the mid 2000s he has worked as an IT consultant in New Zealand and the Pacific, where he has acted as a trusted adviser to many clients managing large scale IT projects and helped numerous executives to take advantage of IT and Internet-related opportunities to best deliver their business functions.